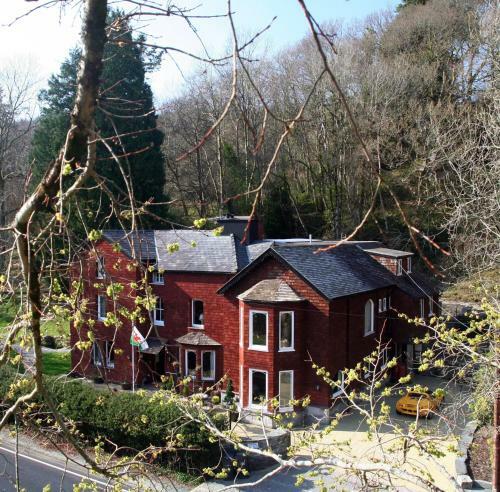 A foreshortened view across the Lledr Valley in Conwy County, North Wales. 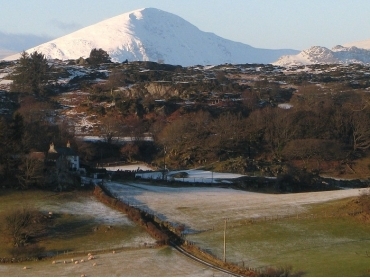 The snow-covered Craig Wen mountain in the background is actually closer to Capel Curig than Dolwyddelan. The photograph was taken from the lower slopes of Ro Wen a hill above the village of Dolwyddelan.